Achilles tendonitis is a painful condition involving the Achilles tendon prior to its attachment into the back of the heel bone. The Achilles tendon is the strongest tendon in the body and consists of muscle fibers originating from the gastrocnemius and soleus muscles in the back of the leg. The Achilles tendon is a major muscle group that helps to lift the heel off of the ground during normal walking activity. The incidence of this injury is not fully known but it is often seen as it relates to overtraining for a specific athletic activity or being overly aggressive in an exercise program while being in a deconditioned state. Overuse of the Achilles tendon with activity that lifts the heel off of the ground; including excessive walking on hilly terrain, use of “Stair stepper / NordicTrack” can contribute to the problem. Other factors can include an excessively tight Achilles tendon or making a shift from a high heeled shoe into a relatively flat shoe--like a running shoe. People with inflammatory arthritis or connective tissue diseases are at greater risk for developing this injury. The “itis” in Achilles tendonitis refers to an inflammatory process related to injury of the tendon prior to its attachment in the back of the heel. This tendonitis can occur as a result of acute or chronic injury to the Achilles tendon and generally occurs in a region of the Achilles tendon that has relatively poor blood flow. The “watershed” region of the Achilles tendon is about three inches above its attachment site on the heel bone. There are different stages of tendonitis based on the degree of injury: Paratendonitis involves the acute inflammation to the vascular lining over the Achilles tendon and is characterized by acute pain to massage and manipulation of the tendon at the Watershed region. Tendinosis is characterized by a non-painful nodule in the watershed region of injury related to chronic inflammation and scarring of the tendon. Paratendonitis and Tendinosis involve acute inflammation and scarring at the watershed region. Despite the pain of paratendonitis and the nodularity of the tendinosis, rarely does this injury advance to acute tearing or rupture of the Achilles tendon. Treatment is aimed at reducing the biomechanical stresses to the Achilles tendon and decreasing inflammation to the area of injury. Biomechanical stresses placed on the Achilles tendon during daily walking activity can be relieved by the temporary use of a shoe with a heel. Generally, patients are advised to avoid the use of shoes with heels however this is an injury that responds best to shoes with a heel lift because this type of shoe decreases the stresses placed on the Achilles tendon during normal walking. If the pain is severe, the use of a removable walking cast or CAM boot may be required for the first few weeks of treatment. Eliminating all exercise activity that places stress on the Achilles tendon is a critical step in recovery. Focusing conditioning efforts on low-to-non impact activity, including: stationary or recumbent biking, swimming or aqua jogging, and core conditioning. Anti-inflammatory measures include: ice massage, non-steroidal anti-inflammatory medication including ibuprofen or naproxen. Cortisone injections into this region should be avoided. In both acute and chronic states, formal physical therapy can be a helpful modality in achieving recovery. Gentle calf stretching as well as a guided eccentric strengthening program can be initiated by physical therapists. The occasional use of a rigid splint that helps maintain the foot at a ninety-degree angle to the leg can be a helpful tool in recovery. Surgical care for chronic Achilles pain is on occasion pursued. Diagnostic imaging including MRI is performed to determine the degree of pathologic changes to the tendon at the site of injury. Surgical procedures vary based upon the clinical situation but include removing the scarred portion of the Achilles tendon as well as the occasional transfer of well vascularized muscle into the injured region. Chronic Achilles tendinosis: recommendations for treatment and prevention. Patented pnuematic system increases stabilty while decreasing pain and swelling. New contoured strut design allows the walker frame to conform to your patients anatomy ensuring a better fit. Unique shock absorbing sole reduces impact from the heel strike to improve comfort during ambulation. Rocker bottom is specially engineered to be low and wide to help promote a natural gait and increased stability. 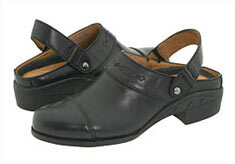 It is designed to support & protect the foot and ankle comfortably overnight. While you sleep, the Darco Night Splint keeps the foot in a neutral position. This position allows the Darco Night Splint to gently stretch the plantar fascia and Achilles tendon to ease heel pain, Achilles tendonitis & plantar fasciitis. Wake to less heel pain & help your first steps feel more comfortable with the Darco Night Splint.